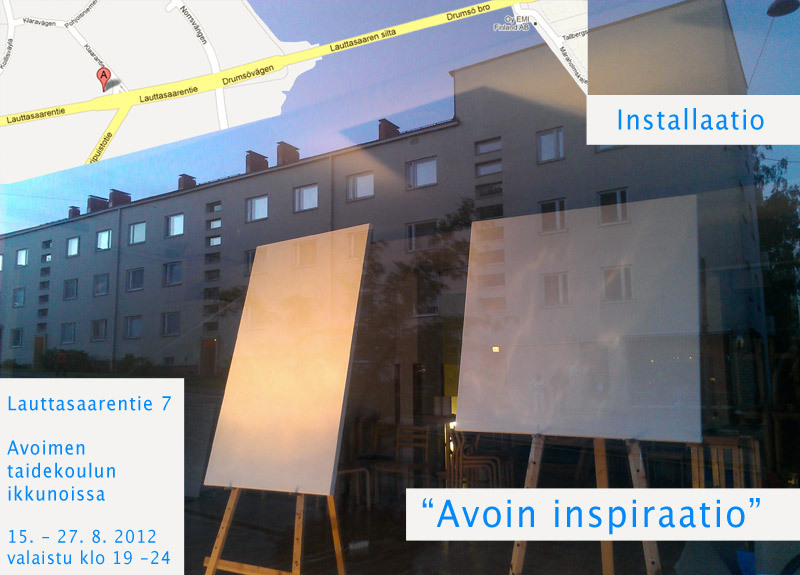 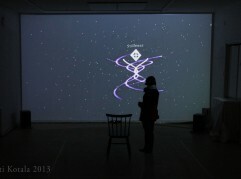 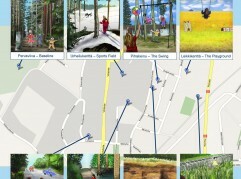 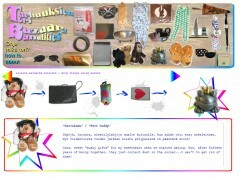 “Minun kyläni / My Village” was a public installation as well as a media artwork in the internet. 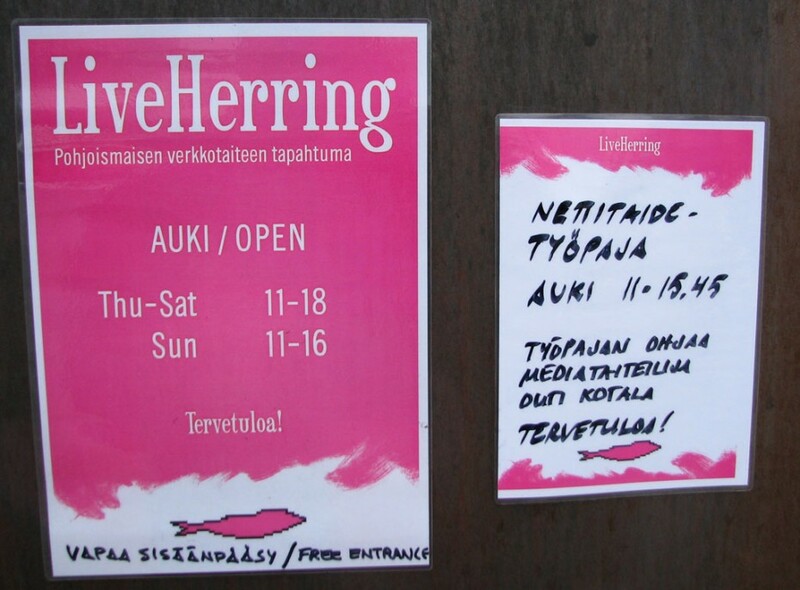 Members of the audience could participate in the making of an ideal village either by sending an image or text they have created through the internet or by visiting the Live Herring open workshop betweenNovember 16 and 19, 2006. 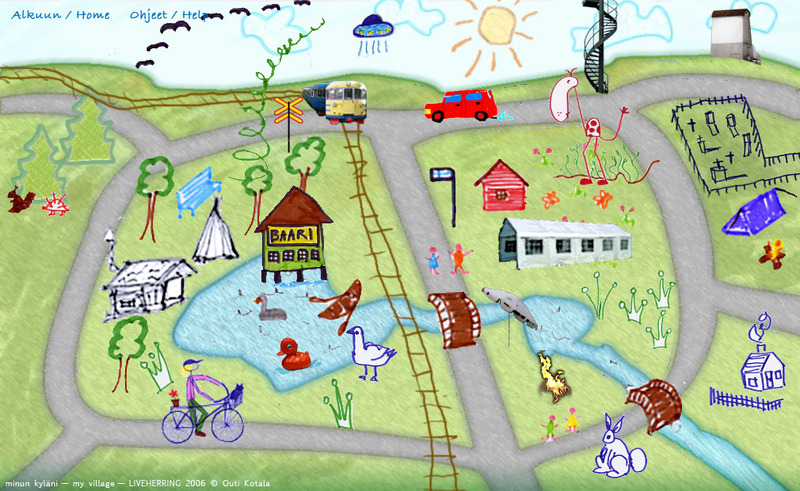 The idea of the work was to depict a dream image of a village or a town. In the workshop people were given a blank map of a small town to which they could draw buildings, natural elements, roads, streets, lakes, rivers, people, animals, services and facilities. 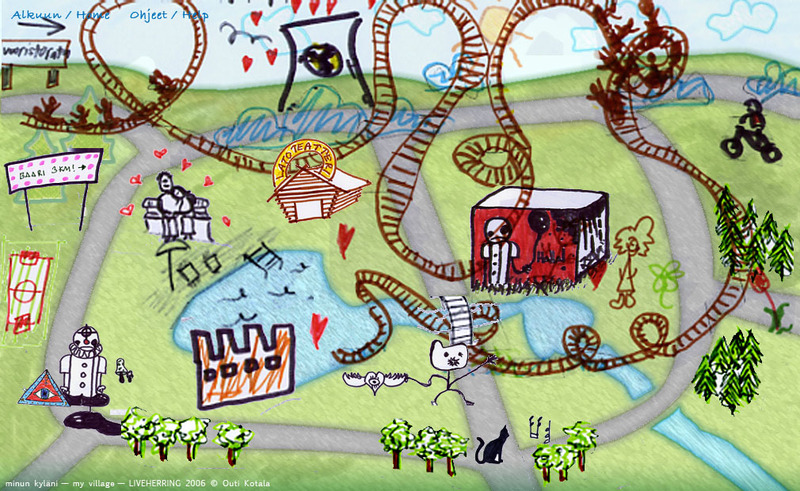 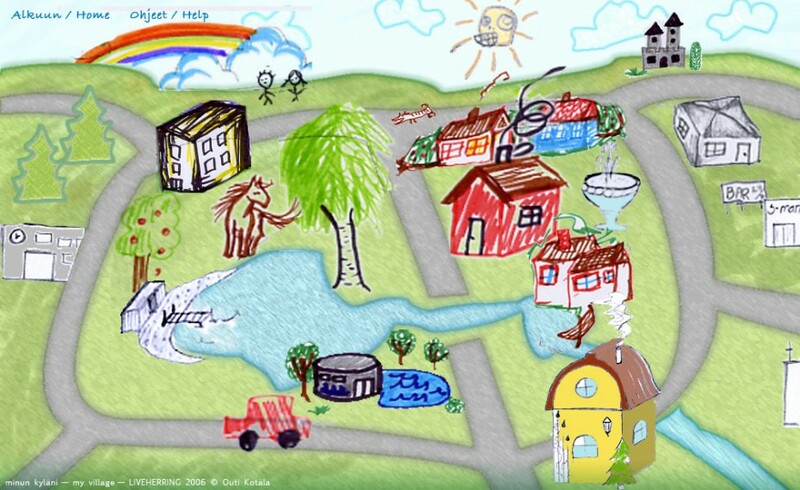 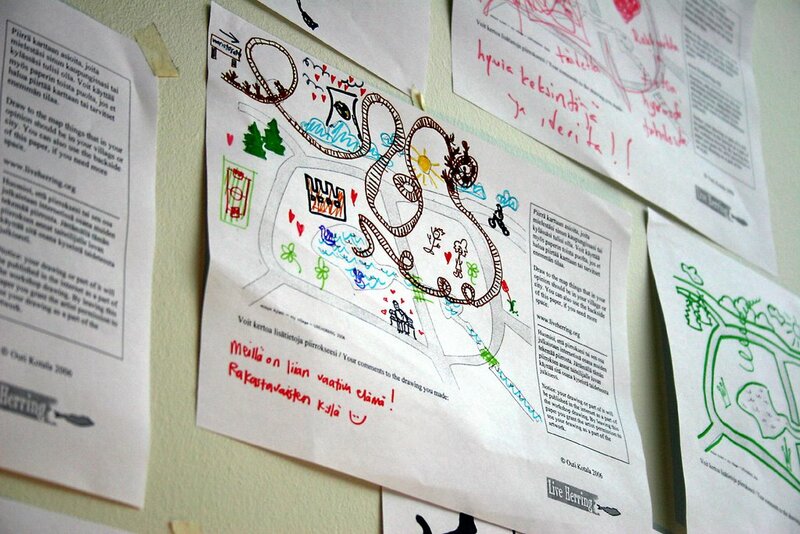 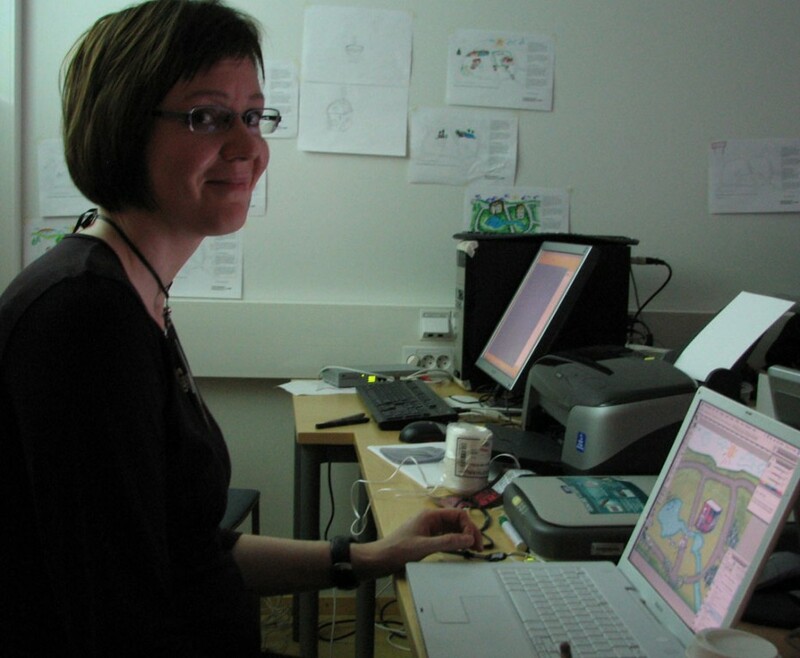 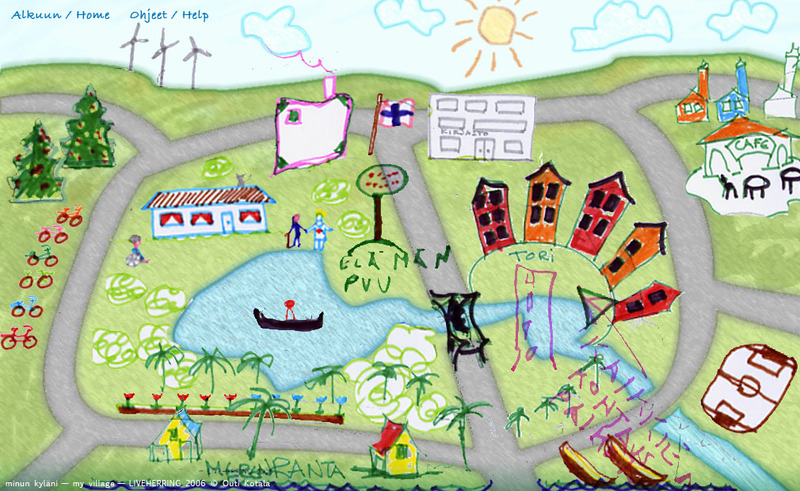 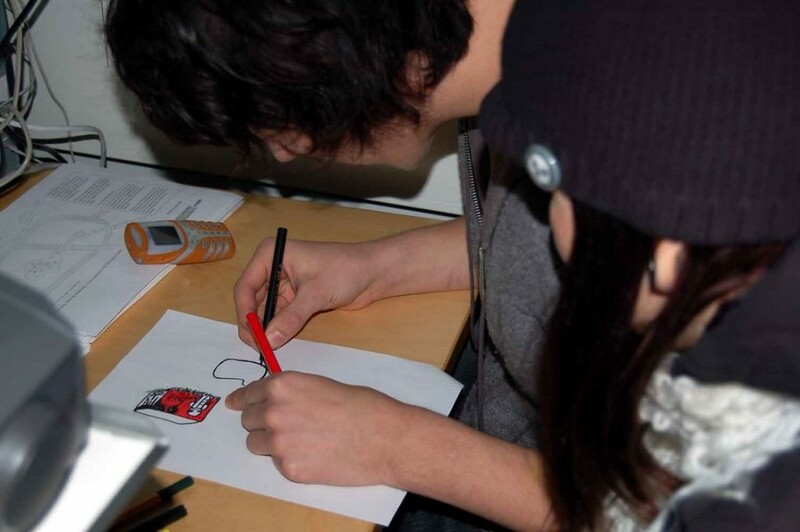 The pictures of the village were drawn collaboratively: each participant made some drawings that were combined using the computer to a single map. 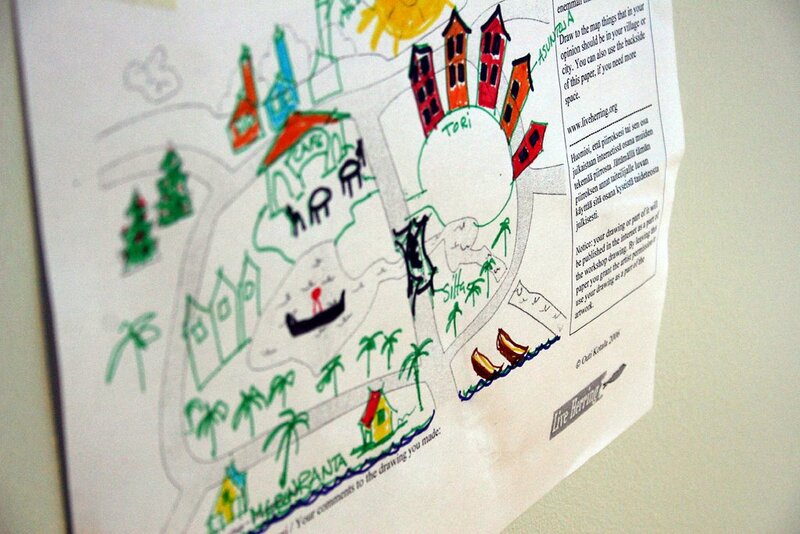 Drawings were also possible to be sent to the work via internet site.